One of the questions that our crew is often asked upon departing the Pontoon each afternoon is a sheepish “So… does anybody actually stay on that thing?” Actually, somebody does! 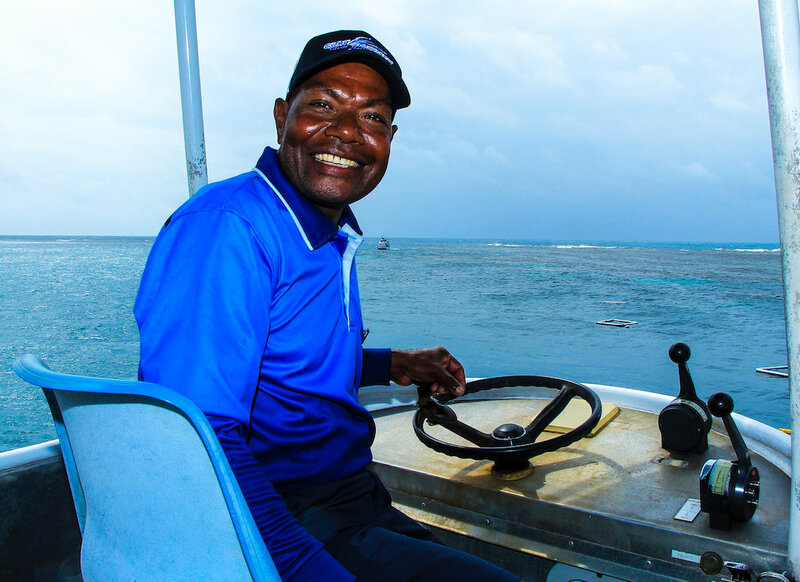 Wilson is one of the Great Adventures pontoon caretakers who calls the floating platform home, five days a week. 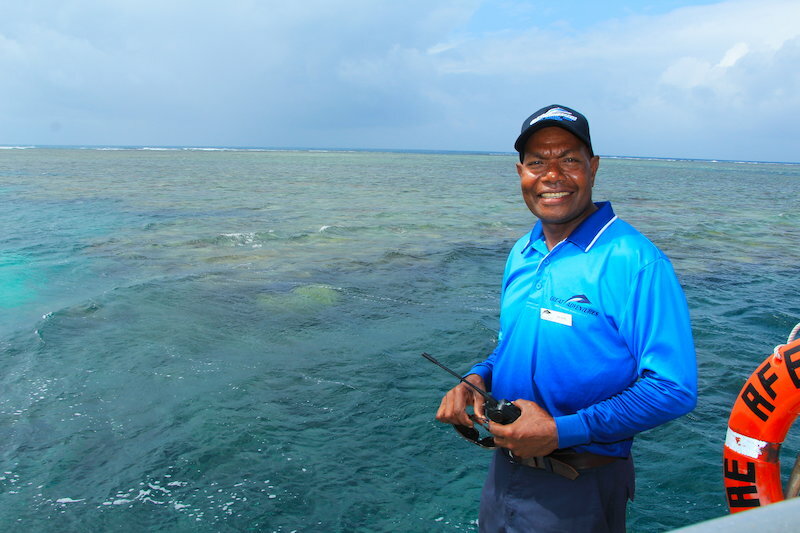 Having grown up on the small island of Matema in the Soloman Islands, the 45m pontoon is his own slice of Great Barrier Reef paradise. Wilson’s workday begins before most of the day guests have awoken, reporting the 6am weather observations to the mainland, preparing the pontoon for the guests and making sure the semi-submersible is ready to go for its first departure immediately upon the arrival of Reef King at 12:30pm. Once the guests depart for home at 3:45pm, Wilson is alone at sea until the next boat arrival the following day. However, there is still work to be done and cleaning and maintenance fill the afternoon. Often, a breath-taking sunset over the Coal Sea is his reward for another day of hard work (a knock-off drink in hand of course!). Living on the remote outer reef and World Heritage environment 50 km offshore from Cairns, Wilson has been privileged to experience many extraordinary moments, from seeing the annual phenomenon of coral spawning to majestic humpback whales putting on private shows and manta rays and turtles appearing beside the pontoon. “I spend five days of the week at sea and sleep in a contained cabin situated on the rear deck of the pontoon. I’m never bored and always find things to do to keep my mind occupied like listening to the radio, TV, reading and keeping in touch with the world on the internet. Living on the ocean can bring its challenges in windy weather but most of all, I love being at sea on the Reef and love the lifestyle”.